The colonel explained the phases of establishing the new Suez Canal Axis Development project, including the advantages of its establishment in world trade services, as well as its role in the development of the canal region. Colonel General Mohab Mamish, head of the Suez Canal Authority (SCA) met with Chinese delegation councillor and Deputy Minister of Commerce Han Bing, and Chinese Minister of Economic and Commercial Affairs Qian Keming on Tuesday. During the meetings, the officials discussed the establishment of a Chinese industrial zone in the Suez Canal Axis Development project. According to a statement issued by the SCA, Mamish submitted an offer featuring investments in the development project in the Canal Zone, and the advantages of investing in this region. 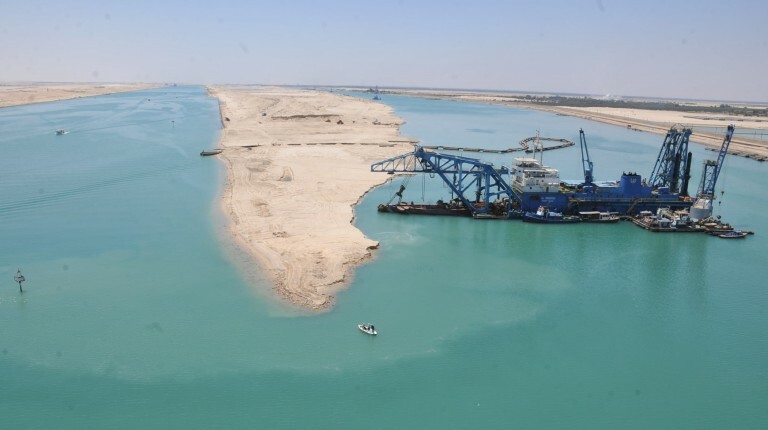 The Suez Canal Authority received several economic delegations over the last period to discuss the means of investment in the axis project, including a delegation representing the ports of Singapore, and a Greek economic delegation. The Suez Canal Axis Development zone will include various economic projects in the fields of ports, logistics, the automotive industry, infrastructure, construction and repair of ships and containers, and the furniture industry.